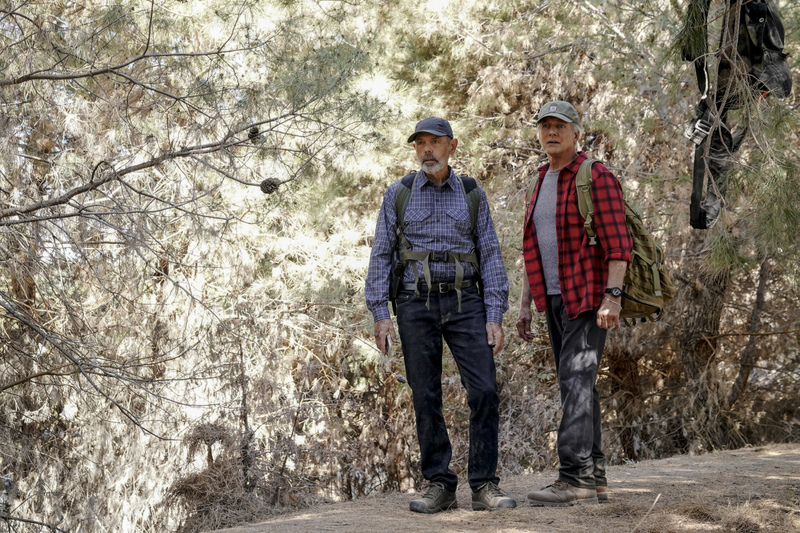 Episode 16×04 “Third Wheel” — Gibbs’ quiet vacation at his remote cabin is interrupted by a surprise visit from Tobias Fornell (Joe Spano) and Navy Captain Phillip Brooks (Don Lake), as well as a call from NCIS asking for his help locating a robber hiding in the woods near him. Guest cast: Joe Spano (Tobias “T.C.” Fornell), Don Lake (Navy Captain Phillip Brooks), Kate Orsini (FBI Special Agent Isabel Monet), Emily Rose (FBI Special Agent Anna Jenlowe), Rich Ceraulo Ko (North Carolina State Trooper Muncie Tyson), Amielynn Abellera (Navy Lieutenant Kaitlyn Holcomb), Daryl C. Brown (Navy Commander Lovinder Prasad), Bo Kane (North Carolina State Trooper William Forman), Ian Gregory (FAA Security Specialist Horace Barnes), Jill Czarnowski (NCIS Tech Susan Ottsley). Written by: Christopher J. Waild. Directed by: James Whitmore, Jr.
Air Date: Tuesday, Oct. 16 (8:00-9:00 PM, ET/PT) on the CBS Television Network.